In the lengthy break between January’s Ogg-Cast and the start of the final series in August, I’d racked up a lot of spare tracks that couldn’t fit on August’s show unless I wanted to make it expand to five enormous parts. So, as I’ve done before, rather than waste them all I’ve thrown them together into a random bits-and-pieces show that gets back some of the variety that I used to make sure of in the early days. In Part One, there’s a surprise return from a long-lost Finnish band, some requests from last year’s Blackwood Gathering, and a comedy show in which listeners from Cambridge circa 1999 will have some awful, awful memories dug up. Part Two has an apology at each end for the absence of Clutch’s new album and Lennard’s Tunes Of Yore, but Covered explains where I’m coming from, Shut It! tells me where my towel is, and we ask “What if?” for one of the leading lights of old-school metal. 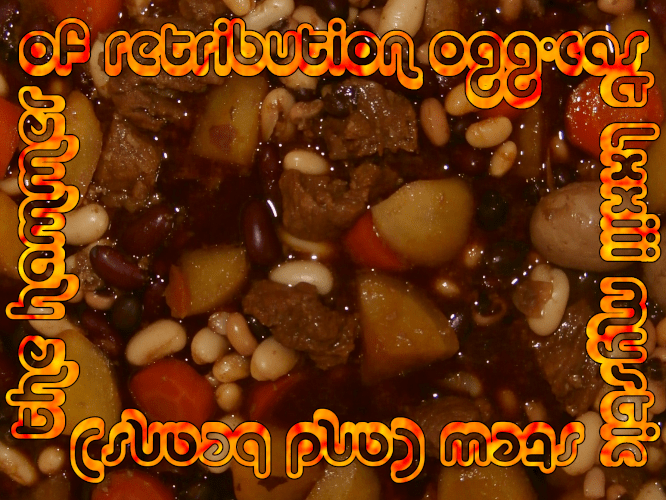 And in Part Three, Ogg-Casts Of The Past returns to cast an eye over the reissues of the 2012 shows, and three prominent bands from last month’s show finish this episode in fine style. 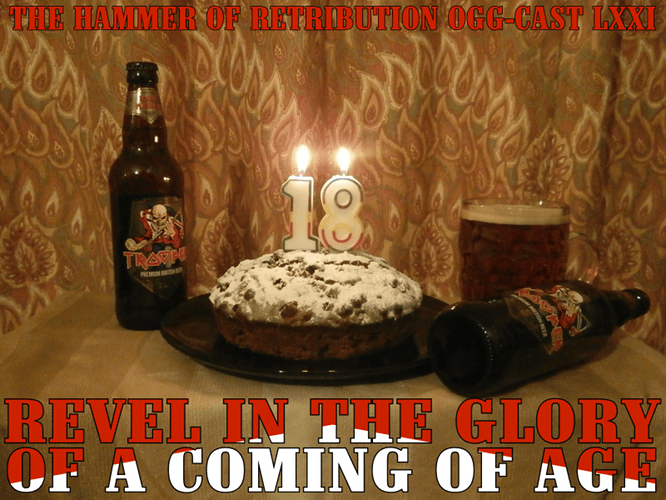 After a seven-month break, the Ogg-Cast returns for its final monthly series of seven shows on the 15th of every month between now and March, then a Grand Finale on 1st May 2019, the 10th anniversary of the very first show. And I thought I’d start with a double-length episode as there’s a lot to fit in. The first half of the show attempts to plug the gap between this episode and the last and re-introduced Lennard after his exile in Italy. 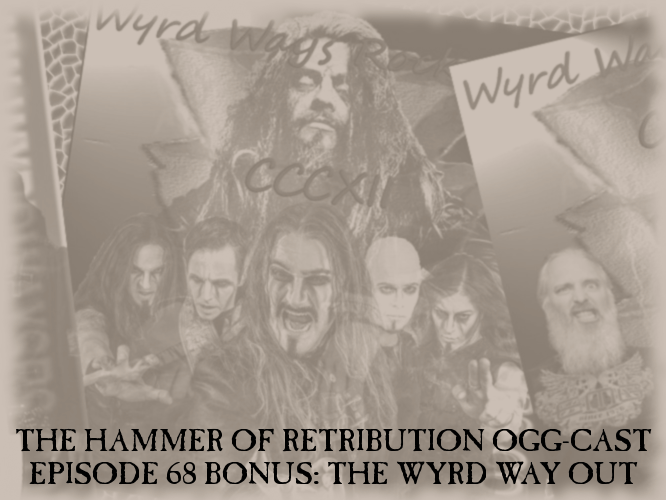 Part One contains an update as to how my side is faring in the Great Culture War, and salutes the memory of the now-defunct Wyrd Ways Rock Show, the original inspiration for the Ogg-Cast. Part Two contains Lennard’s first Tunes Of Yore since last December, which is given in more than one language (and I try to translate his foreign words!) Also, there’s a nod to a country I had to cross to reach Lithuania. The second half covers my recent excursion to Lithuania for the excellent Kilkim Žaibu festival. In Part Three, there’s all the action (that I witnessed and that isn’t too drifty-floaty-folk) from the first two days, while Part Four covers the third day – and a candidate for Album Of The Year to finish with. 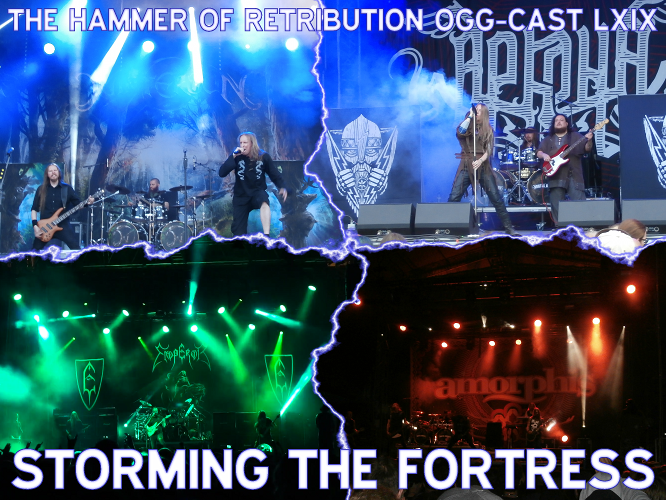 The Hammer Of Retribution Ogg-Cast reissue process has been completed. What still remains is to host the episodes (72-80) from the “final series” from August 2018 to May 2019. This is the point where the original versions all contain the standard reissue header, only updated to announce that this is a “final series” episode rather than a reissue. The episodes that already exist (72-78) will be posted in the run-up to the release of episode 79 on 15th March 2019. Cast your mind back to the dawn of 2000. What were you doing? Were you, like me, attempting to drink your way through the seemingly impenetrable barrier between what seemed at the time to be The Past and The Future? Were you, unlike me, worrying about the Millennium Bug? There are some humans who were not even born at the time that all four digits on the calendar changed, and a subset of those who were thrust squealing into this world within a few days of that can now legally do what I was doing at the time, involving five litres of beer. They can also smoke, which I definitely do not do, and they can also vote, which I would not habitually do as there are rarely any parties who deserve anything other than my withering contempt. In short, it is now 2018, and these squealing fleshlings born in the first days of 2000 are now legal adults of 18 years old. Is anyone scared? This is a January show and as ever, I’ve gone back for a look at years ending in the same digit. With the Great Metal Big Bang of 1970 within sights of the people of the 1960s (very few of whom had any idea it was about to happen), I’ve extended the overview to 1968, albeit briefly, and I’ve attempted to cover the absence of Lennard, who is still holed up in a monastery in deepest, still-not-darkest-at-this-time-of-year Italy. I can’t promise anything quite as weird and wonderful as his Tunes of Yore, but there should be a couple of surprises. 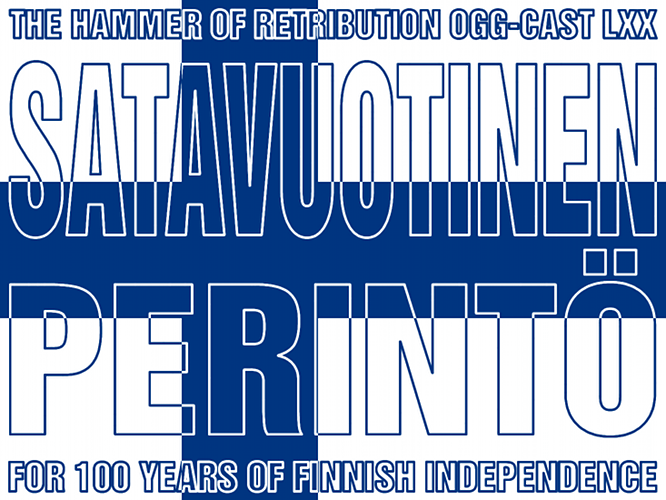 6th December 2017 sees the 100th anniversary of the day the people of Finland decided they were fed up with being ruled by Russia, especially given what had just happened a month earlier, and declared independence. Freed from the shackles of the Red Terror, this country spent the next century punching above its weight – not least in making mobile phones, producing people who can drive cars very fast in all conditions, and defending itself from the former overlords next door. Finland has also proven itself highly adept at making loud noises with guitars; with the highest density of metal bands per unit population (663 per million people), Finland can rightfully claim to be the most metal country on Earth. I have chosen to say “hyvä syntymäpäivä” to the Finns with this five-hour marathon of Finnish metal. No other nation will be allowed on the playlist; the most they’ll get is the bands who provide the theme tunes to our regular features. Incidentally, for those less fluent in Finnish than the average Finn, the title translates as “Legacy Of A Hundred Years”. That this is a Moonsorrow song-sub-title divided by ten is absolutely no accident. It may have taken a month, but the episode of the Wyrd Ways Rock Show where I’ve formally handed in my notice has been released. For reasons of time constraints and a bit of tact, my final exit speech was removed and has resurfaced here. 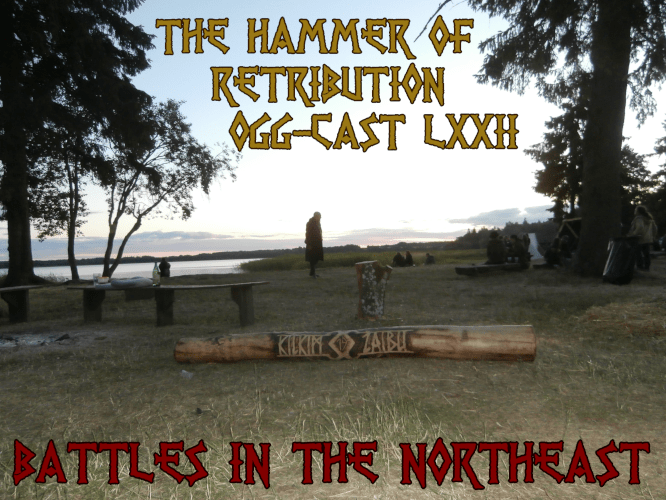 I also felt the need to expand further on what has caused me to draw the conclusions I did, and why – though this does also involve me retracting a few of my words from Ogg-Casts 67 and 68. Carl did exactly that on the Wyrd Ways Rock Show blog (which caused a bit of confusion for my listeners back in January) so I thought I should do a bit of the same – but I do go off on a proper rant afterwards, you have been warned. Fortunately, from that point onwards, I thought it best to turn this into a bonus show with actual musical content, which you’ll get about an hour of, even if it’s unlikely there’s anything you haven’t heard before. 0:25:35	The Hellacopters – (Gotta Get Some Action) Now!